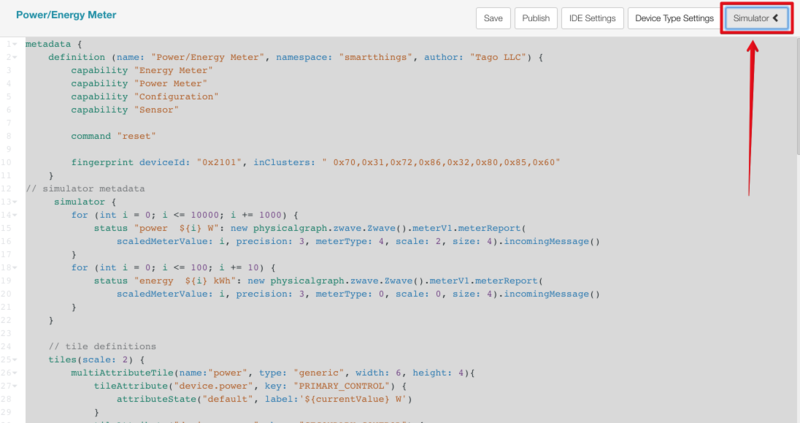 In this tutorial we show how to bring electric power and energy measuring using the Zen15 sensor to your TagoIO account using a SmartThings hub. 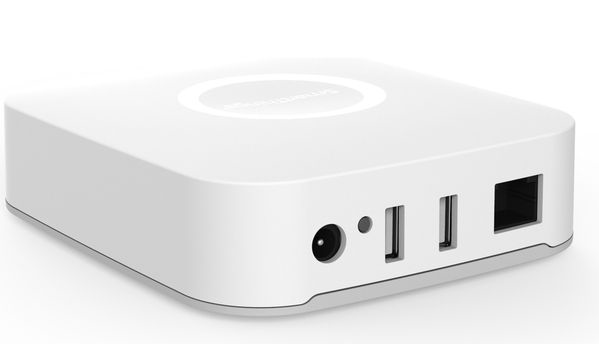 The Zooz Zen15 Power Switch connects to the Smartthings hub using Z-wave wireless technology. 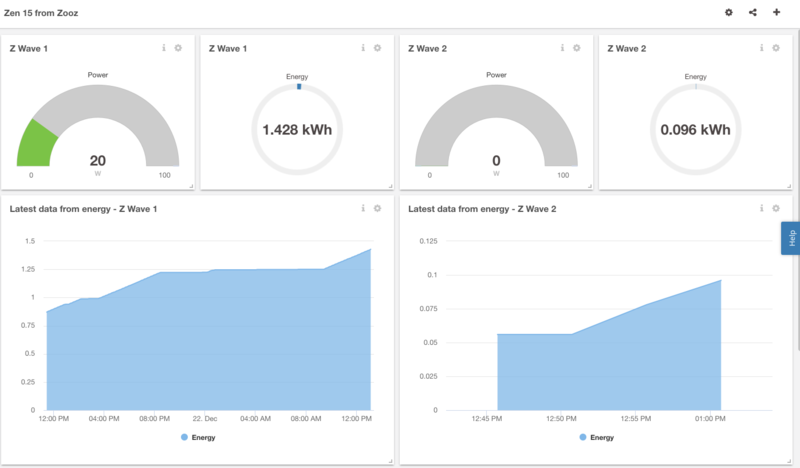 Zen15 can control loads and measure power and energy in realtime to be display and process by TagoIO. 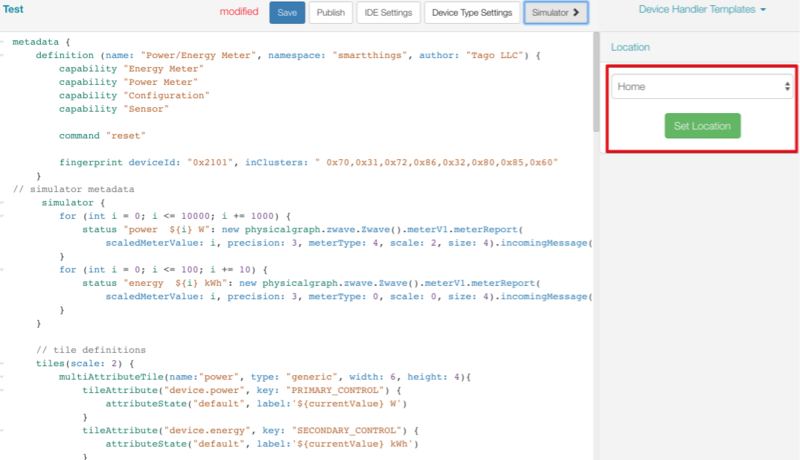 Let's assume that you already have your devices, hubs, and locations registered in the SmartThings portal. 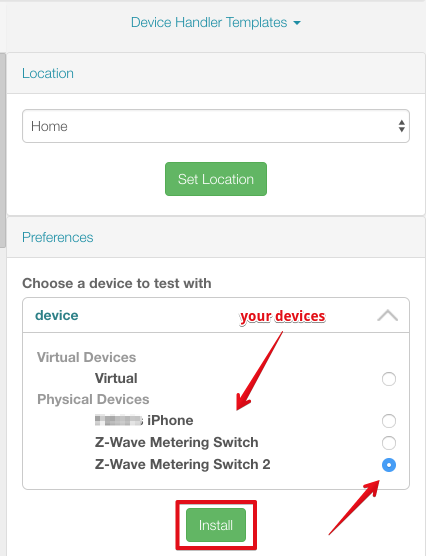 Make sure your ZooZ device is registered at SmartThings portal here. If you don't have the locations and hubs registered in the SmartThings portal click here. SmartThings Hub demands a manual installation of a handler when using Zooz sensors. Click here for the tutorial. The code to be inserted in the handler to enable the Hub to find the Zen15 sensor can be found here. If your SmartThings Hub is already communicating with Zen15, now is time to configure it to send data to TagoIO. 4. After the Device Handler is created, a code is automatically generated. You will need to remove all the code that was generated to replace it by our TagoIO handler. Click here to copy the code and past it into your device handler. 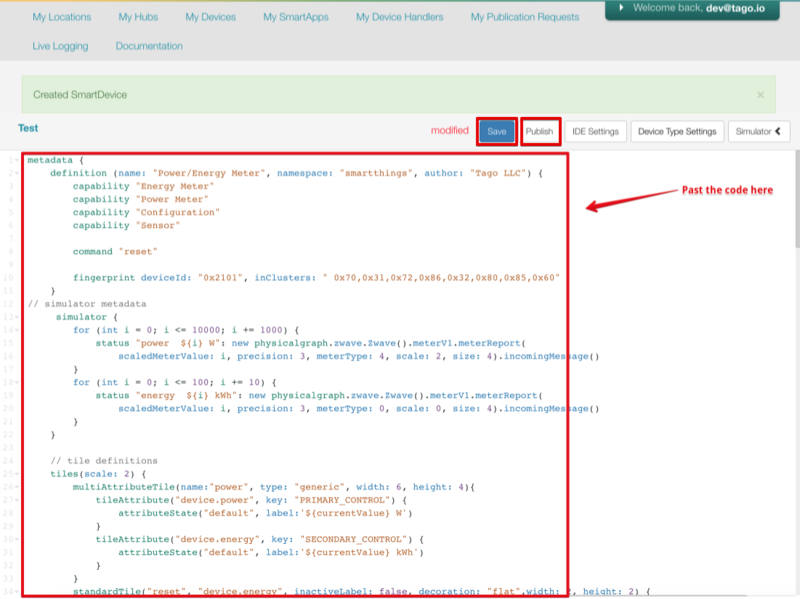 At TagoIO you should create a device and add a token with the id of the Smartthings device that you just installed the handler. After, you can create a dashboard to view your data in an easy and intuitive way. Follow these steps to complete the setup at TagoIO. 1. On your TagoIO account, go to Device and click on "Add Device". 2. Select Zen15 device and fill in the required fields. 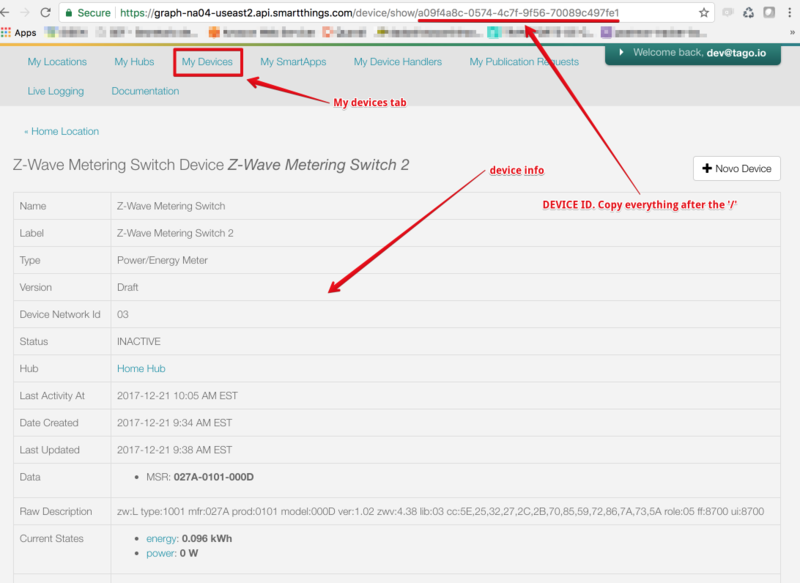 In the SmartThings portal select My devices tab, and find the device that you just installed. To get the Device ID, go to the URL of the browser, and copy the text as shown below. Now, paste it into the Device ID field. Learn about how to build dashboards here.